MT has teamed up with Sky to launch a new awards scheme aimed at finding and rewarding the UK's up and coming sustainability leaders - why not enter today? 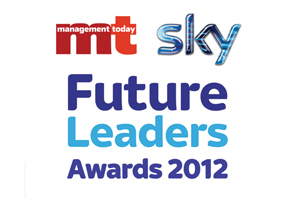 Here at MT we have always realised that business is a marathon not a sprint, and that’s why we have teamed up with our like-minded colleagues at Sky to bring you the MT Sky Future Leaders Awards. This new award scheme is not for today’s bosses and CEOs, instead it aims to recognise and reward the leaders of tomorrow. The new generation from across the business spectrum for whom sustainability is already their watchword. And these days, any business with an eye to the longer term has to be sustainable - since the crash of 2008 we have all seen only too clearly the consequences of unsustainable business practices. Sustainable business is also good business, good for your reputation and customer relationships, good for cost control and good, ultimately, for the bottom line. The leaders of tomorrow will need to live and breathe it, and it is this grass-roots talent we are looking for. ‘We’re on the hunt for the unspoken heroes in both businesses and not-for-profit organisations who tirelessly champion the sustainability cause,’ said MT editor Matthew Gwyther. With five categories covering all walks of business life - Corporate Ace, MBA Mastermind, Start-Up Star, Non-Profiteer and One to Watch - there’s something for everyone. Sky CEO Jeremy Darroch said of the news, ‘At Sky, we’re committed to building a more sustainable business for the long-term. We also recognise that working with our people is vital to ensuring we act responsibly in our day-to-day business and make a broader contribution in the communities in which we live and work. So if you - or someone you know - is a rising sustainability champion with a promising future ahead, check out the MT Sky Future Leaders Awards. Entries close July 13 2012.